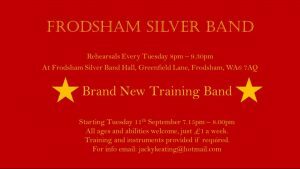 In September 2018 we re-started our training band here at Frodsham Silver Band. 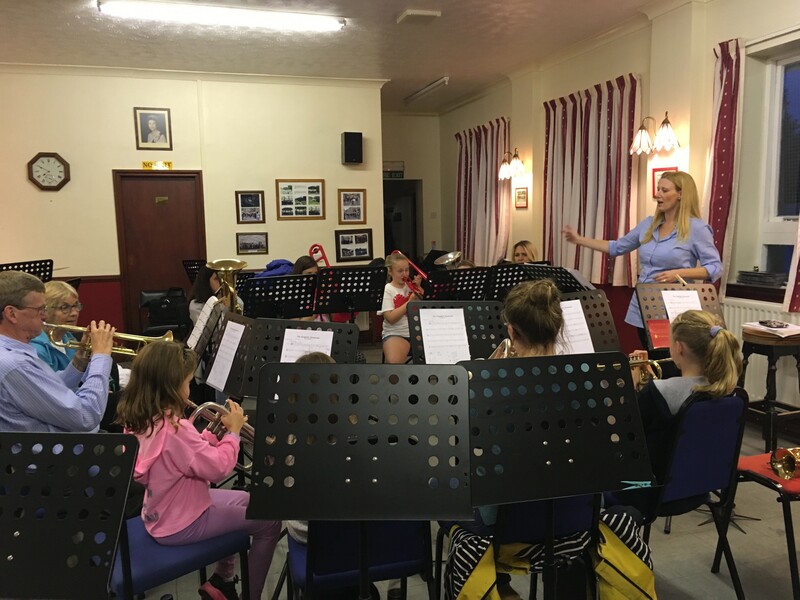 The training band is open to complete beginners looking to learn a brass instrument or players who feel they are not quite up to main band standard yet. We welcome players of any age and we can help provide instruments where necessary. Tuition is given each week by learning new pieces together and gradually introducing new notes and techniques. The training band is led by Jacky Keating. 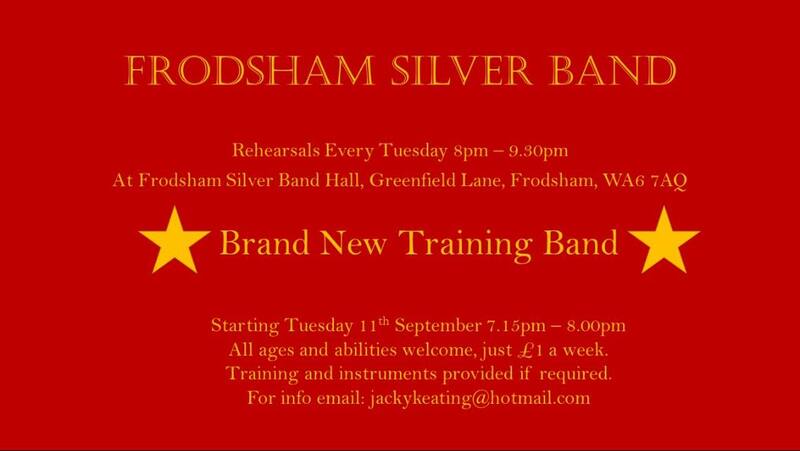 Jacky started at Frodsham Silver Band as a beginner when she was a teenager and has played with us ever since. For over ten years Jacky has worked as a peripatetic brass and piano teacher and ran bands at schools in the Frodsham area. This is run every Tuesday evening from 7.15-8.00pm. No need to call ahead, just come along and join in.